Can you tell that I made this on PowerPoint? Tried adding more visual perspective and MS Office said No. 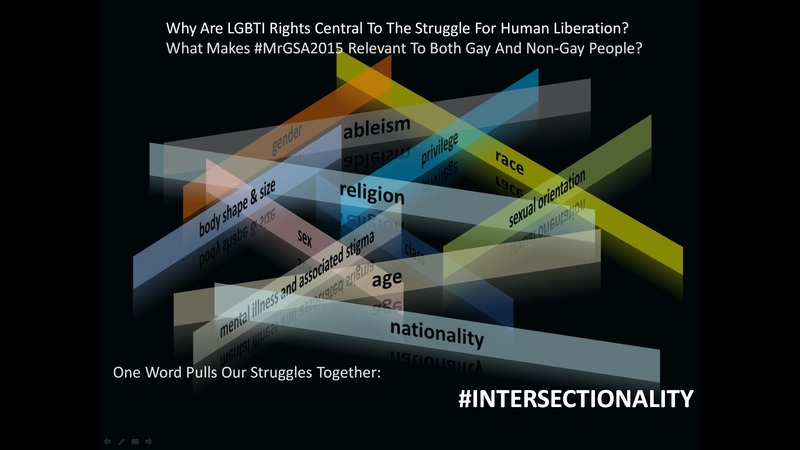 Intersectionality – see feminist sociologist Kimberlé Crenshaw. From when we’re born, we each fall into a caste system that works out our value based on nothing we have done or intended (the “who” of who we really are), but on morally neutral factors beyond our control (the “what” of who we really are). Having worked out our value, this system allots us as much power, autonomy, esteem, mobility and humanity as supposedly corresponds with the value attributed to us. The system is not entirely static, of course: we collectively and continuously shape it whether we know it or not. Some people, like the guy who tried to sell me skin lightner in a nightclub, know what they’re contributing to and continue anyway so they can profit. Ethically, then, the system turns humans into little more than animals bent on survival. The higher the value this system places on an individual, the less likely he will be to know that the system exists at all, or, for that matter, that it benefits him in ways that are designed to stay just beyond his conscious awareness. For if a privileged person were to know, he would grow uneasy and question the morality whereby the guardians and power-brokers of the system keep some happy (thus earning their approval and empowerment to continue) at the expense of others. When a privileged person rejects the privileges afforded by the system, he calls into question the morality of everyone who is complicit in sustaining it. Based on tribalism and its fear of diversity, the system offers success on a zero-sum game basis. That means that for any one person to be well off, someone else has to suffer. In some cases, revolutionary individuals “fix” inequalities caused by the system by replacing those inequalities with replicas and reversals of the same systemic oppressions (having known no other mode of existence) though it may take decades before anybody notices that the old patterns are resurfacing in a new guise. In fact, the revolutionaries may have started off with great intentions but without understanding how the system works; they therefore cannot overcome it. Let the reader understand. The system must be confronted and uprooted in its totality or else it just shape- and colour-shifts. Suntosh Pillay wrote a piece in which he asked why psychologists generally don’t engage society as it needs to be engaged. It’s also important to understand the role that the moral ideology of the day plays in justifying the inequalities whereby the power-brokers and guardians of this system empower themselves by artificially polarizing society into the “wicked” and the “pure”, the “sinful” and the “holy”, “outcasts” and “inner circle” and feeding off of the empowerment they are given by the beneficiaries of the set-up. Evil must disguise itself as light otherwise it won’t be tolerated. It’s difficult to convince people that they have a right to enjoy the benefits of this system while others suffer for it unless they can be convinced that they they’re entitled to it because they follow God’s law or are God’s favourites. Beware the multiplication of rules. That’s why I strongly believed that religion must be engaged at every level so that its role in aggravating oppression may be exposed for the heinous thing that it is, not just to the public but to the religious themselves; “They know not what they do”. That’s why I’ve entered Mr GSA. The competition affords gay men a platform on which they can add their voices to the dismantling of oppressive systems. A full explanation of how these intersecting oppressions impact the economy and economic policy, the environment and environmental policy, the quality of education as well as the political landscape, is a bit beyond the scope of one post but I have been reading and writing about it on this blog. Enjoy this video that gives a glimpse of what Pride Weekend was like.